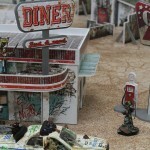 The Spanish company Plastcraft Games has released its new “Post Apocalypse” scenery range. 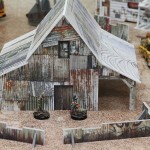 As was the case with its last releases, this scenery is fully pre-painted so you only have to build it up and play. This range, although not exclusive for our game, has been designed in partnership with us. 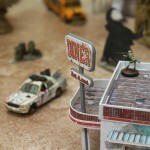 Measures for covers, building heights and the like comply to the Punkapocalyptic rules. 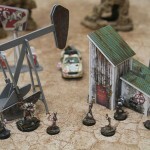 These scenery elements blend nicely with the look for our game and, in fact, some of our miniatures are shown for scale on the final boxes artwork. 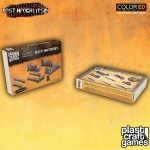 You can now but these packs on our online store, ready for you to build up a superb gaming table. 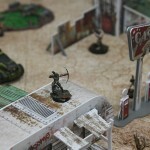 Here you can see how awesome it looks on our gaming table.